Manchester Central Magician’s Exhibition & Trade Show Magic? Manchester Central Magician will increase your stand footfall! The mystery & drama of magic creates a strong psychological & emotional bond with an audience. Philip uses magic to get the audience’s attention riveted on the performer or the illusion he is creating. He uses this to sell YOUR products, communicate YOUR message, recognise YOUR top performers, or motivate YOUR employees. In live performance an audience is tied into the presentation. They watch, respond & remember. Philip has a Pharmacy Degree & a Postgraduate Clinical Pharmacy Diploma. He can therefore handle technical & medical scripts with ease. "A massive thank you for your entertainment & magic. It went down really well and had such great feedback from staff." Want to know the EASIEST way possible to have great traffic flow to your trade show stand & increase your ROI? 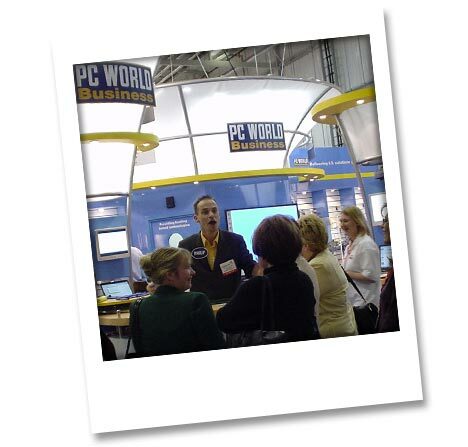 Contact me today to learn how your company can have a successful exhibition. Don’t risk disappointment. Go ahead & take action now. For an immediate response, give me a call on 0161 448 2672 or 07970 871544.